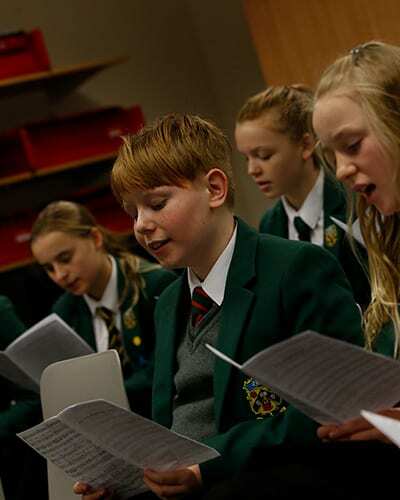 The co-curricular programme at Silcoates widens the experiences available to pupils, giving them the opportunity to try something new and promoting the idea that education continues beyond the classroom. Pupils are encouraged to develop their own interests and abilities and to take full advantage of the many opportunities on offer. There are four Houses, named after former Headmasters – Evans’, Moore’s, Spencer’s and Yonge’s. Siblings are usually placed in the same House and pupils transferring from the Junior School will retain their House membership. Each House is overseen by a Head of House who is a member of the teaching staff. House Assemblies take place once every half-term to celebrate pupil achievement and organise team lists for competitions. Each pupil is allocated to a House when they join the School. The main purpose of the House system is to provide the structure for an annual competition for House points, the Pearson Cup, in various activities. Competitions take place throughout the school year, for example in cookery, photography, quiz league, all the major sports, maths, public speaking, debating and music. All pupils are encouraged to take part in House competitions during the year as part of their commitment to the co-curricular programme. There are many clubs and societies that operate in the School. Activities on offer vary each term according to the particular expertise of staff or the particular interests of pupils. For example, opportunities have existed recently for pupils to write for a school newsletter, play chess and table tennis and attend the Bookworms, Film and Robotics Clubs. In the Summer Term, there is an Activities Week for pupils in the Middle School (Years 7-9), when the timetable is suspended and pupils are given the opportunity to participate in a wide range of additional activities. The School encourages students to be involved with its Voluntary Service programme, reinforcing the message that service to others is also of benefit to those who serve. Some students provide assistance for staff and younger children in the Junior School, others assist with a Paired Reading Scheme, where Sixth Formers help younger pupils to develop their confidence in reading. Voluntary service also takes place outside school whenever possible, helping at local primary schools, residential homes or day centres and other community organisations.